Digital interactive whiteboards are easy to create on an iPad with the right app. 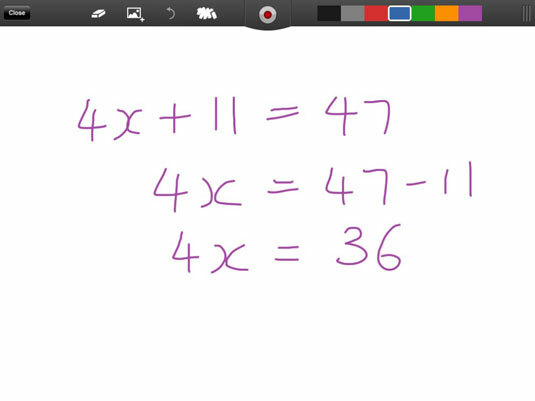 With an iPad whiteboard app, you can use images, text, audio, and your own handwriting to illustrate concepts in front of your class. Whether you want to incorporate flip learning, blended learning, differentiated learning, or personalized learning in your classroom, there is a digital whiteboard iPad app that can help you achieve it. When some teachers try to write in small, delicate handwriting on an iPad screen, it looks like somebody spilled ink on it. Yet there are other teachers who can happily write notes on the iPad and project something legible enough for a class to read. Regardless of which category you fit in, with the use of the right iPad stylus and some inexpensive apps, you will be able to write on your iPad while walking around the room and even save your notes for posterity. Not all iPad styluses are created equal. Some are best for drawing, some are best for writing, and others may be multifunctional. When you buy an iPad stylus that you intend to use for writing, make sure the stylus has a small nib, is well balanced, and can produce sharp changes in directions and curves that typify writing. ScreenChomp or ShowMe: These apps are simple without a lot of frills. 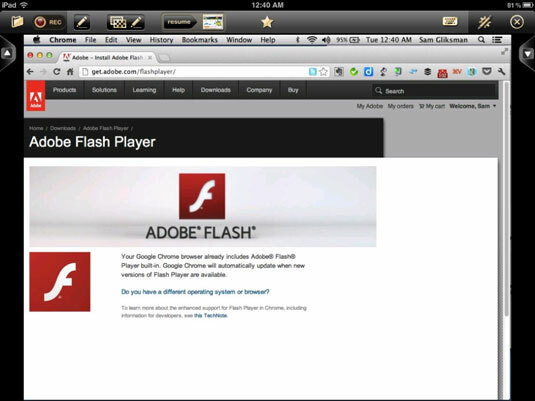 In both cases, you start the app and you get a whiteboard, writing tools, an eraser, and an image insertion tool. If you choose to, you can use the screencast feature to record the whiteboard interactions as you create them. These apps are not recommended for more than simple illustrations, maybe to demonstrate a principle in math. They are great, however, for anything that doesn’t require too much space or complexity. If that’s what you need, it will do the trick. Educreations: If you want the simple interface of drawing on a whiteboard but need a couple of more robust, additional features, Educreations is one app to consider. 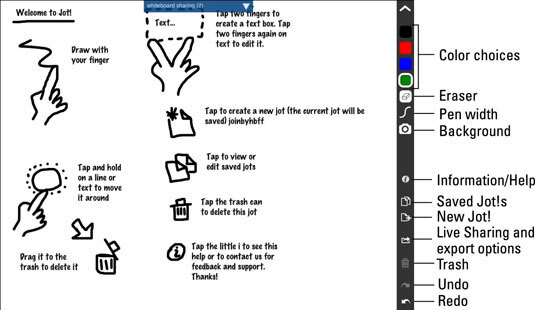 It adds Undo and Redo features as well as a handy Text tool for typing text on the whiteboard instead of having to write with your finger or a stylus. Jot! : Jot! is an iPad app that helps you to create a whiteboard on your iPad, and share it in real time. Jot! whiteboards support all the usual whiteboard content, including media and drawings. 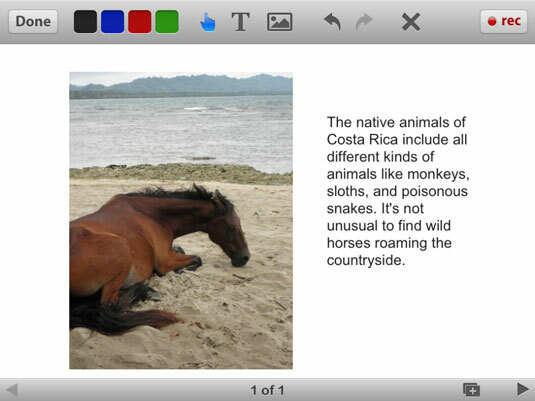 Doceri: Instead of paying thousands of dollars for an interactive whiteboard, Doceri lets you create one on your iPad. Doceri enables you to play Flash or run Java, and to duplicate many of the features of expensive whiteboards for very little cost.